I just found this great deal. It's reduced from £25.00 to £12.50! You can get it from www.lookfantastic.com with FREE delivery. 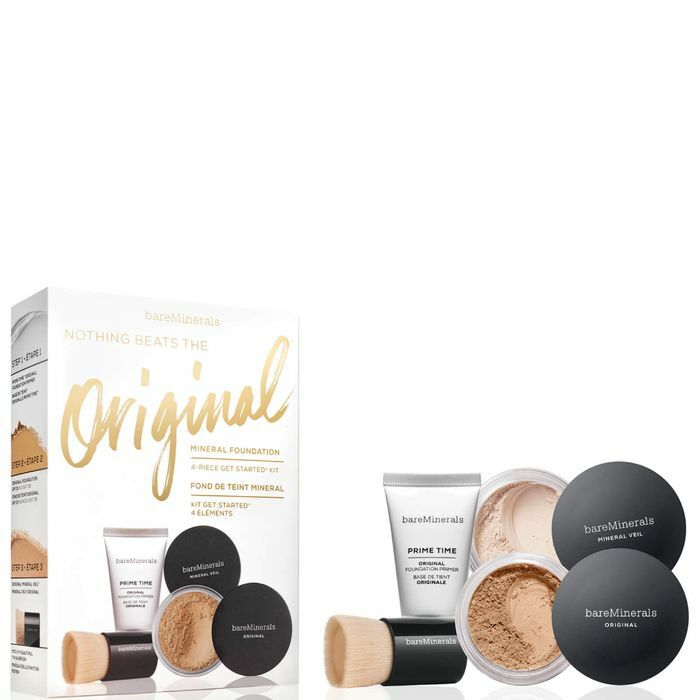 Perfect your complexion with the bareMinerals Get Started Kit, a set of four products that form the most flawless makeup base possible. Bringing together natural ingredients and innovative formulas, the kit will help you to create smooth, radiant, effortless-looking skin. Amazing deal with beautiful price! reviews for this company are terrible, have you used them before do they actually deliver?